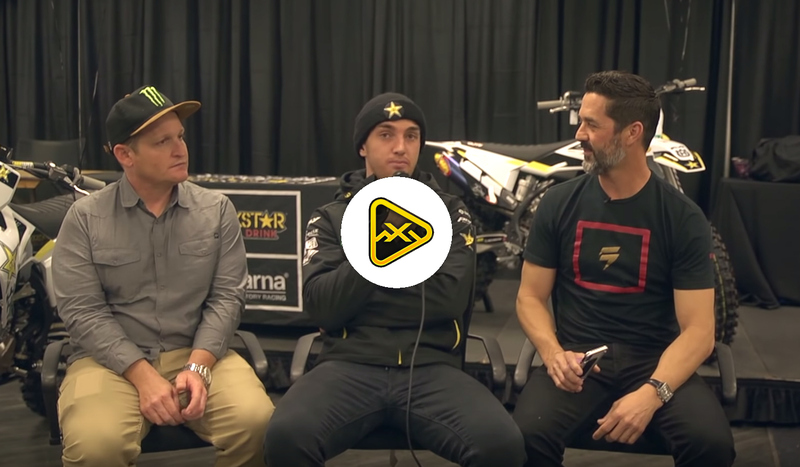 It was a solid night for the Rockstar Energy Husqvarna Factory Racing Team for Round 12 of the 2019 AMA Supercross World Championship at Century Link Field in Seattle, Washington. Michael Mosiman had a stellar ride in the 250SX West class, finishing just off the podium with a career-best fourth-place. In the 450SX class, Dean Wilson and Zach Osborne battled their way to sixth and eighth-place finishes, respectively. It was a great start to the day for Wilson, who topped the 450SX qualifying sessions aboard his FC 450. He took the top gate pick into heat two, where he got off to a fourth-place start. He made his way into third by lap two and from there he carried his momentum to earn a third-place transfer into the Main Event. Wilson grabbed a top-ten position off the start in the main, and he battled his way into seventh by lap four. From there, Wilson rallied once again to claim one last position before the checkers, finishing sixth for the night. Osborne qualified eighth aboard his FC 450, where he lined up in 450SX Heat 1. He jumped into seventh on the opening lap, where he worked his way up to third by the end of the race. In the Main Event, Osborne powered his way to the holeshot and battled for the lead on the opening lap. After a small tip-over early on, Osborne got shuffled back to tenth and fought his way back up to finish eighth overall for the night. Rockstar Energy Husqvarna Factory Racing’s Michael Mosiman had a great start to the day, qualifying eighth in the 250SX West division. In his heat, Mosiman got off to a ninth-place start and he powered his FC 250 into sixth by lap two. He continued to climb two more positions to secure a fourth-place transfer into the Main Event. Mosiman got off to a third-place start in the main, where he battled inside the top-five early on. He worked his way into fourth on lap seven and he pushed hard for the remainder of the race, earning a season-best fourth-place finish for the night.